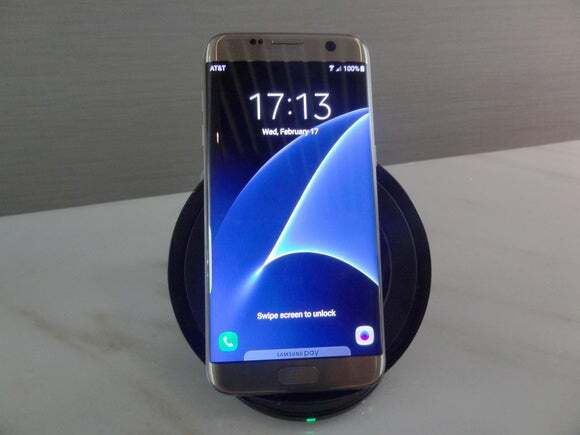 Samsung has given gaming and graphics performance a big boost in the new S7 and S7 Edge phones as it attempts to build on its partnership with Oculus and make virtual reality a key application for smartphones. Samsung and Oculus launched the $99 Gear VR headset in November last year, and the S7 phones are the first flagship models that Samsung is putting out since then. The graphics processors are roughly 64 percent faster than chips in the Galaxy S6 handsets – something that should translate into a much smoother, richer and more immersive experience for all aspects of gaming and virtual reality. With the chips, it will be possible to run 3D games at 60 frames per second when the handsets are hooked up to high-definition monitors. The GPUs are also capable of handling 4K video, though it may not be able to handle 4K games in which image frames move at a much faster pace. Some models of the Galaxy S7 handsets will have Samsung's Exynos 8 Octa 8890 chipset, while others will have Qualcomm's Snapdragon 820. The phones were introduced on Sunday at the Mobile World Congress expo in Barcelona. Users will be able to reduce the frame rates of games to preserve battery life. Pressing one button reduces games from 60 frames per second to 30 frames per second. Another nifty feature is a "do-not-disturb" button for gamers. Once the button is pressed, incoming phone calls or notifications won't disturb the gaming or virtual reality experience. After all, nothing could upset your trek through the Amazon rain forest or trip to the surface of the moon like a call from your boss. Having powerful hardware in the phones is key to Samsung’s push into virtual reality. The $99 Gear VR headsets are essentially head-mounted holders for the phone. Users slot their phone into the Gear VR and then watch content on the phone’s display, so it’s important the phone can keep pace. And to supplement its VR offerings, the company also introduced a camera accessory called Gear 360. The camera, which looks like a webcam, has two lenses that shoot video simultaneously, which results in 360-degree video. 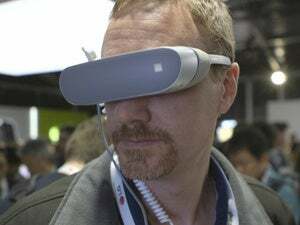 It runs on a battery and can be connected to the S7 and S7 Edge smartphones or Gear VR headset via USB to view 360 degree video in real time. It has 128GB of storage. The biggest advance in gaming on the device will be thanks to Vulkan, an API (application programming interface) that can help mobile devices run games while conserving battery life. Vulkan will also make games sharper on Android devices like Galaxy smartphones, and lead to the development of more titles. The API was introduced last week, and it is supported by most chip vendors. It’s an upgrade from the aging OpenGL, which was first introduced in 1991 by Silicon Graphics. The new API interfaces directly with GPUs and other hardware to render games faster and with more power efficiency. It's also easier to export games from DirectX -- which dominates gaming on PCs -- to Vulkan, Samsung executives said. A number of handsets that support Vulkan will be introduced at Mobile World Congress. Samsung has also built in the ability to record game play as a standard feature in new phones. The game play can then be viewed from the multimedia gallery. The files can also be uploaded to Youtube.